Indian Movie Friend is a first ever ticketing platform for Indian Movies and south asian events, music concerts in the UK market. 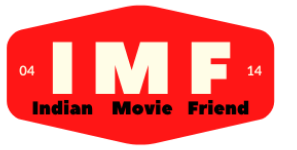 Indian Movie Friend is owned and operated by MoviEmsee Limited, a company incorporated in England and Wales under registration number 9116169 with its registered office – 70 Priory Road Kenilworth CV8 1LQ. The following terms and conditions will apply to any visitor (“User”) and their use of our website Indian Movie Friend (“the website”) and they should read it properly before any such use. The MoviEmsee Limited (“we”) reserves the right to change terms and conditions including but not limited to service charges and terms of services. The User shall be responsible for regularly reviewing these terms and conditions. We have tried our best to provide accurate information. The website, MoviEmsee Limited, the Directors and/or Employees of MoviEmsee Limited do not assume the accuracy of the information available on our website hence will not be liable for any damage caused by the information available on the website. This agreement and each Term of use shall be governed by and constructed in accordance with the laws of England and Wales without reference to conflict of laws principles and disputes arising in relation hereto shall be subject to the exclusive jurisdiction of the courts of England and Wales. 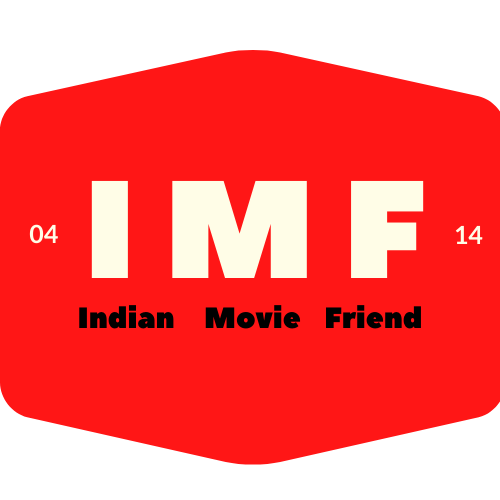 Cinema/Event tickets may be purchased through the Indian Movie Friend using a credit or debit card approved by us. To make any payment by credit/debit/charge card, the User must provide the cardholder's name and email address, the card number, the card security code, the card expiry date and (where applicable) the card start date and/or issue number. your selection is correct before confirming the booking as tickets cannot be exchanged or refunded at a later stage. Lost, stolen or damaged tickets will not be replaced. The Website may contain links to other websites ("Linked Sites"). The Linked Sites are not under the control of MoviEmsee Limited or the Website and MoviEmsee Limited is not responsible for the contents, privacy policies or practices of any Linked Site, including without limitation any link contained in a Linked Site, or any changes or updates to a Linked Site. MoviEmsee Limited is not responsible for any errors, omissions or representations on any Linked Site. We do not guarantee any product or services provided by an advertiser on any Linked Site in any manner. The Users are requested to verify the accuracy of all information before undertaking any reliance on such information. All the prices shown in the Indian Movie Friend will have additional VAT and service charges on it unless otherwise specified in the pricing structure. Indian Movie Friend accepts Visa, MasterCard, American Express, select Debit Cards and Net Banking. Other payment methods may be added from time to time. IndianMovieFirend sells tickets on behalf of Event organizers/Cinemas and does not control the inventory or its availability and pricing. All transaction details, including payment card details, are encrypted using Secure Sockets Layer. Further, CCL seeks to ensure that bank details are never transmitted in clear text through the Indian Movie Friend booking system. Digital Streaming services are free to watch and there would be no payments taken from the customers to access our streaming services. In the event that the ticket booked through the website is not accepted at the cinema due to any appropriate reason (double booking at the cinema) the customer will be offered full refund for his ticket price paid excluding booking charges. Customer will be given the option to book another ticket having same ticket price at other time at same or different cinema if not accepted he will get the refund according to Moviemsee Ltd discretion. MoviEmsee Limited does not hold any responsibility to obtain the censorship, distribution right or any other intellectual property rights for movies or other contents shown at the time of private screening or/and community event. The organisers (organisation or group of people or person responsible for holding the private screening or community event) will have all the responsibility in the issues of censorship or intellectual property. MoviEmsee Limited cannot be held responsible for any copyright violations or legal infringements for holding the screenings or running the content in the private screening and events. All materials on the Site are protected by copyright. Any other use of the materials on the Site (including but not limited to making such material available on any other website, online service, bulletin board or networked computer environment) is strictly prohibited. The user accepts that MoviEmsee Limited will collect and use the personal information of the user according to privacy policies stated by the MoviEmsee Limited.